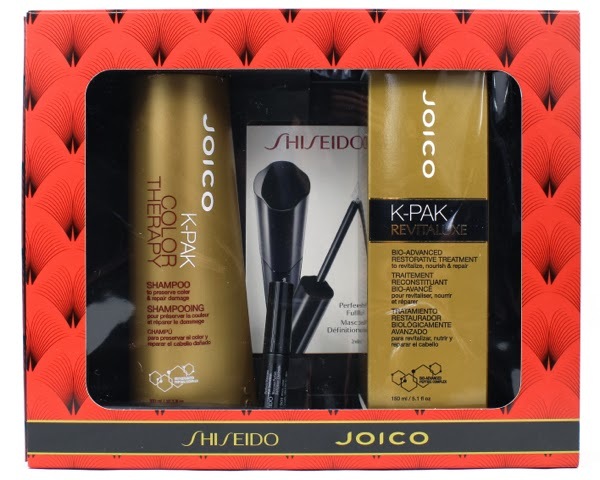 Shiseido Joico Shampoo and Restore Treatment Set is suppose to repair and strengthen dry, damaged hair while also making it softer and silkier. Perfect for a great look for Valentine's Day. This includes the shampoo and their K-Pak treatment. I did use this product. I can tell you that my hair is very soft and shinny. I cannot confirm or deny if it is stronger as I've only been using it for about a week. I read the package instructions before using. Now, I know washing your hair isn't rocket science but there are some instructions you want from your hair care products. We all probably know how to use conditioner…however, this K-Pak product is not called conditioner it is called a "treatment." What was confusing for me is that the package does not tell you if you use it daily, weekly, monthly, ect.. This is vital information I need to let me know if it safe to use daily or not. I didn't like that instructions were not included for this. For example Hot Oil Treatments are noted to be used Monthly. The K-Pak treatment is much thicker and richer than normal conditioner also making me concerned about build up if used daily. I didn't care for the scent of this product, although, I think many women would love the scent. Personally, I do not generally go to salons regularly, just twice a year for haircuts/trimming as I have been lucky so far in not needing to dye my hair but the scent reminds me of a salon product. It is a rich with a strong scent (not a bad thing in most cases). I am just one of those weird women who like lighter less fragrant scents. The Shampoo instructions also state that this product helps maintain natural color of hair. Here is my wishful thinking…"Is this product going to help keep my hair from turning gray?" I am not a particularly vain person but I love my hair color and there are not a lot of things about myself I am very confident in, but I do have a lovely hair color that will never been attained with dye. The bottle is not particularly clear on this meaning. The word phasing could mean one of the vitamins helps your hair hold color or helps keep your hair from losing its color. I really want to know the delineation there because I will buy this a lot if it means I will get to keep my natural hair color longer. My final thoughts on this product; the instructions need to be clearer. My hair is shinny and soft. I cannot prove it is stronger or more protected than it is with any other hair care product on the market. I would buy this product again but would want more explanation on use and some of the product claims. You can find this set nationwide in your local salons and spas. Disclosure: All opinions are my own. I received the Shieseido Joico Shampoo & Restore Treatment Set at no cost for the purpose of this review. No other compensation was received.